Cash only, street parking, no drinks, no dine in. 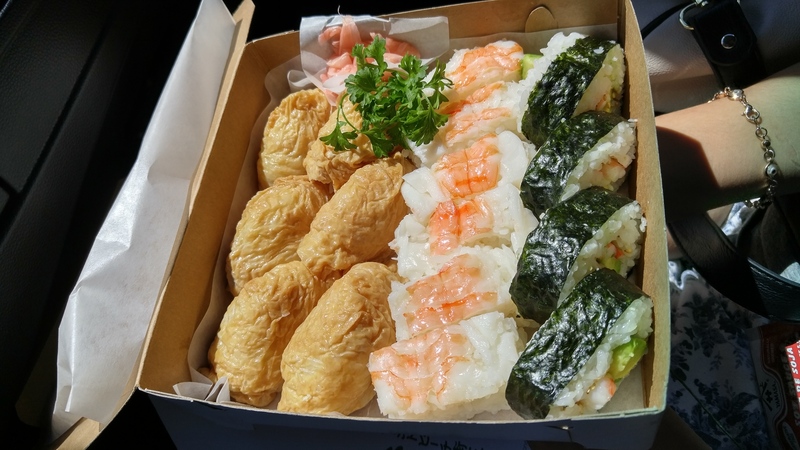 With that said, this is some of the best take out sushi you could possibly get. I look for reasons or make up excuses to go to Gardena just so I can order some of their glorious inari. I usually get a few California rolls (made with seasoned shrimp instead of imitation crab), saba, ebi, and inari. Their attention to detail and quality is very impressive. Since it’s take out, the expectations are low but that will thought will be quickly erased after the first bite. Easily the best California rolls and inari you could get anywhere. The rice is seasoned and cooled to perfection. It’s so good I don’t even bother with soy sauce. Although it’s cliche as hell to say, Sakae is the definition of a hidden gem. The ordering area is about the size of a bathroom and there’s no dining area, but that doesn’t stop the brilliance behind the counter.